I have a lot of books and I keep getting more because I can't help it -I love stories and the feel of the paper. 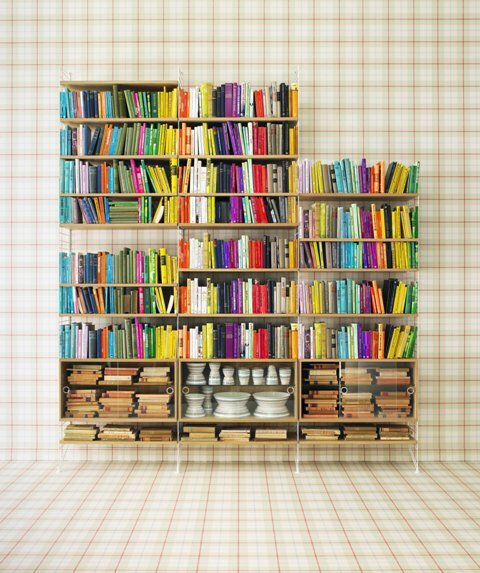 I have tried to arrange our bookshelf so that it would look nice but still it does't look anything like this. Dream bookshelf by String.